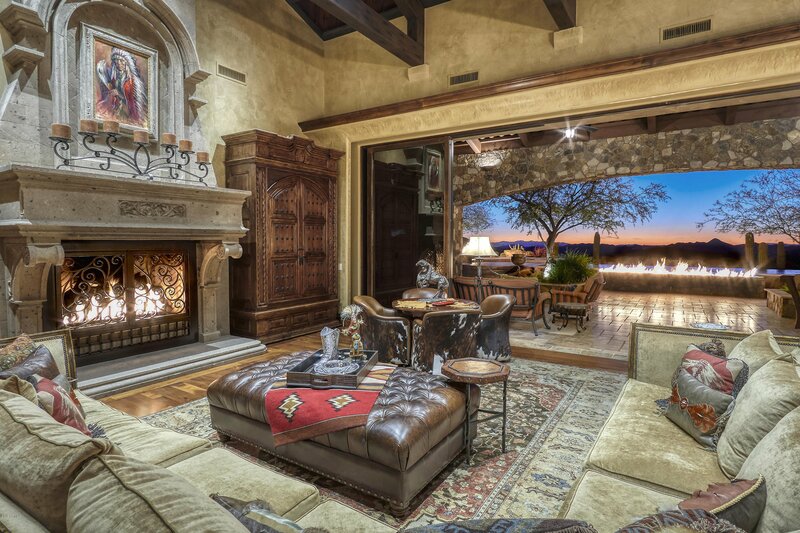 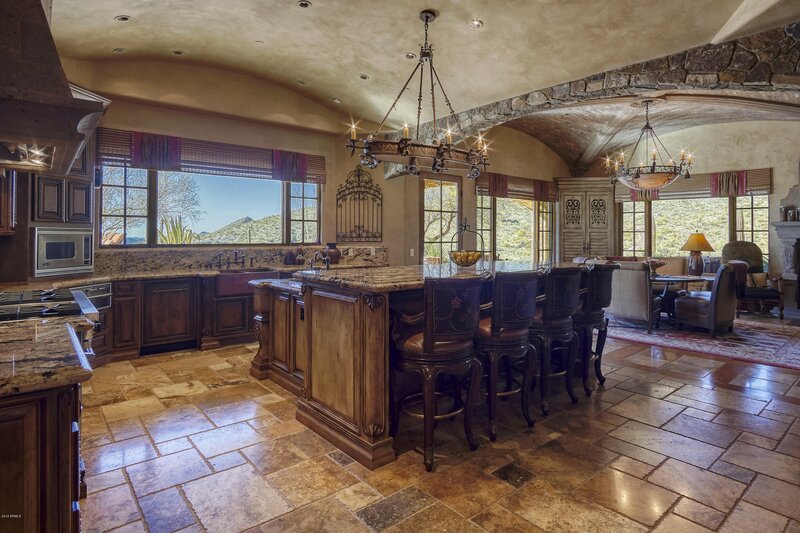 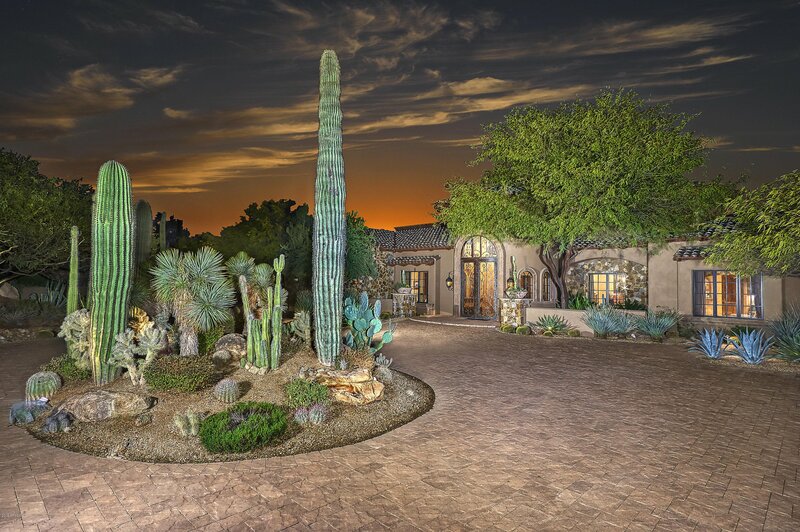 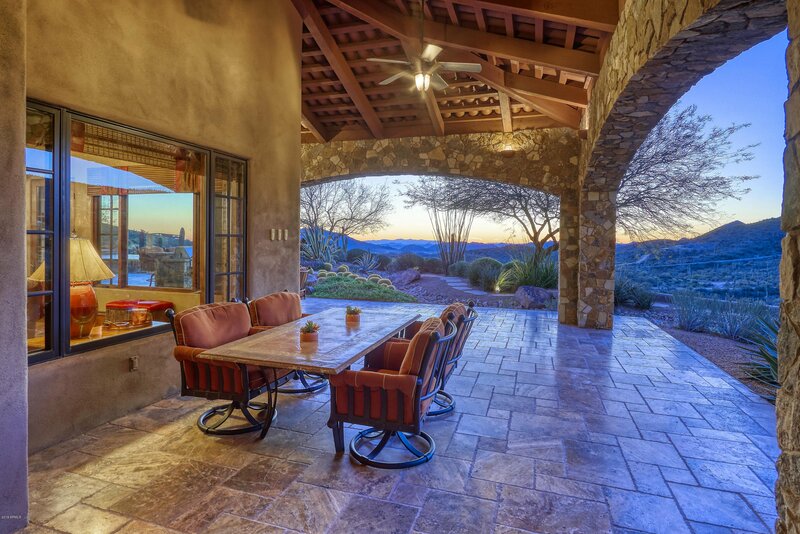 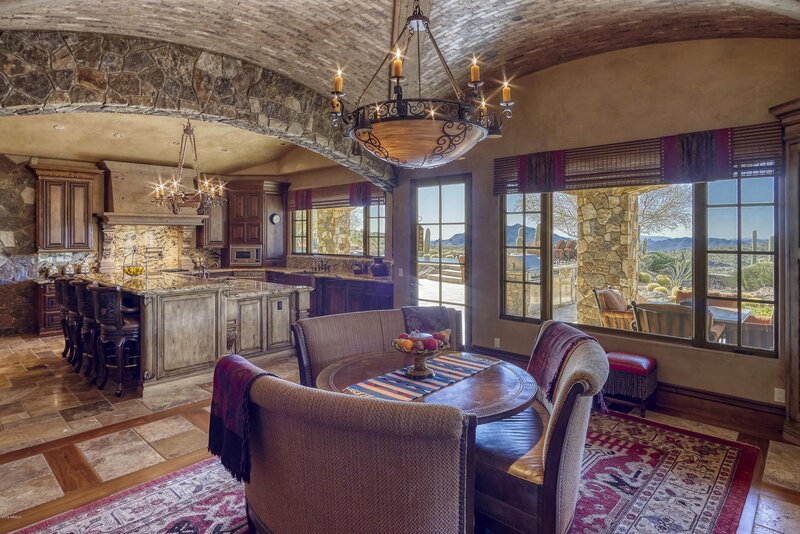 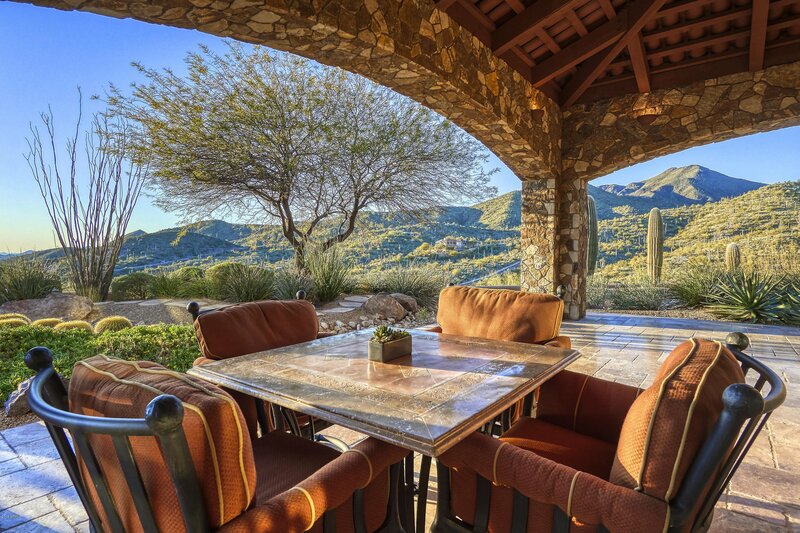 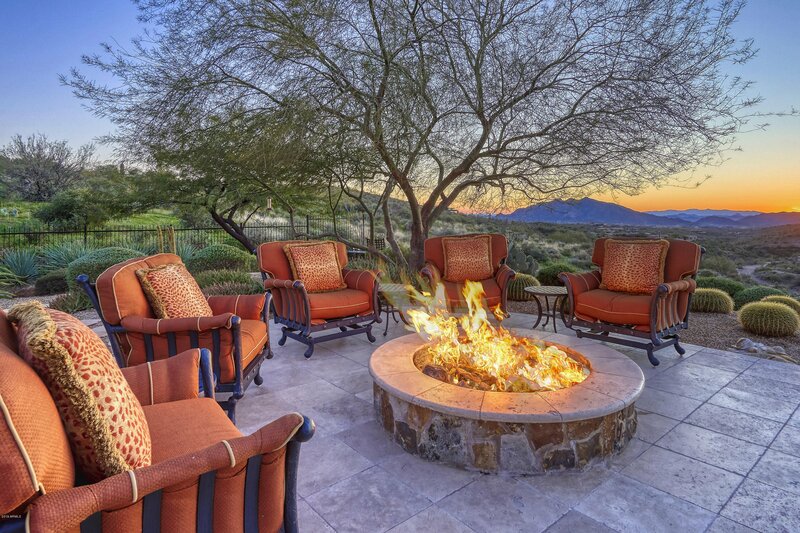 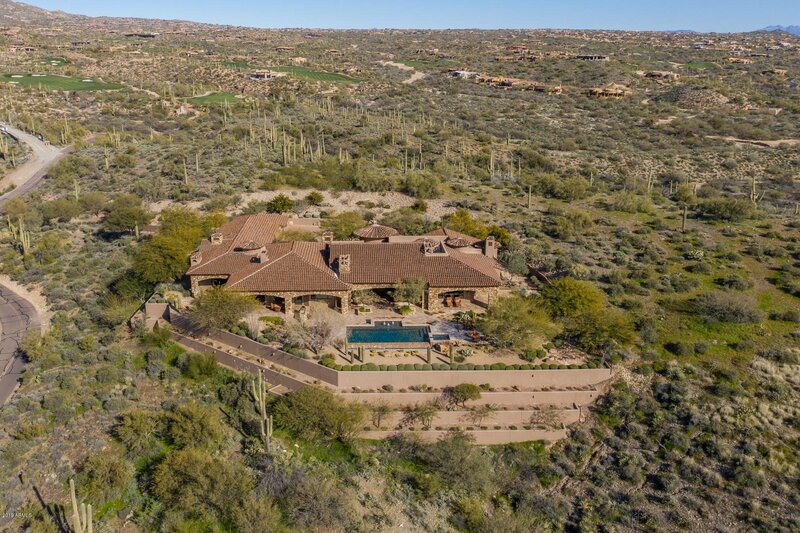 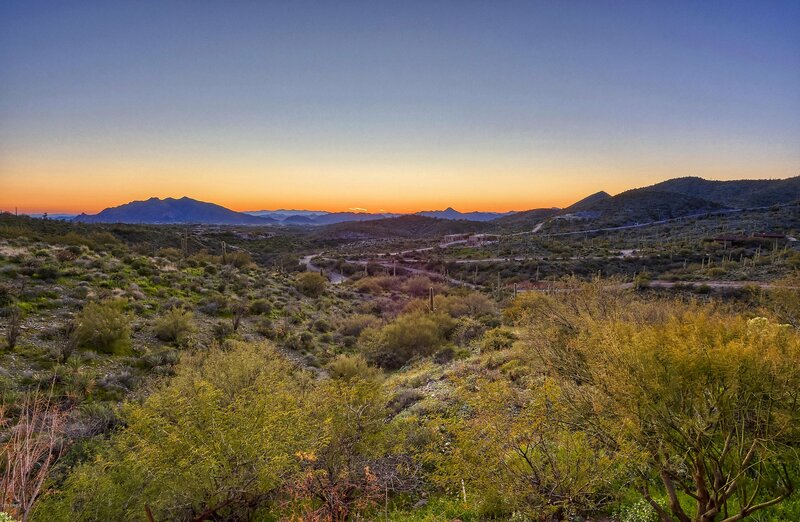 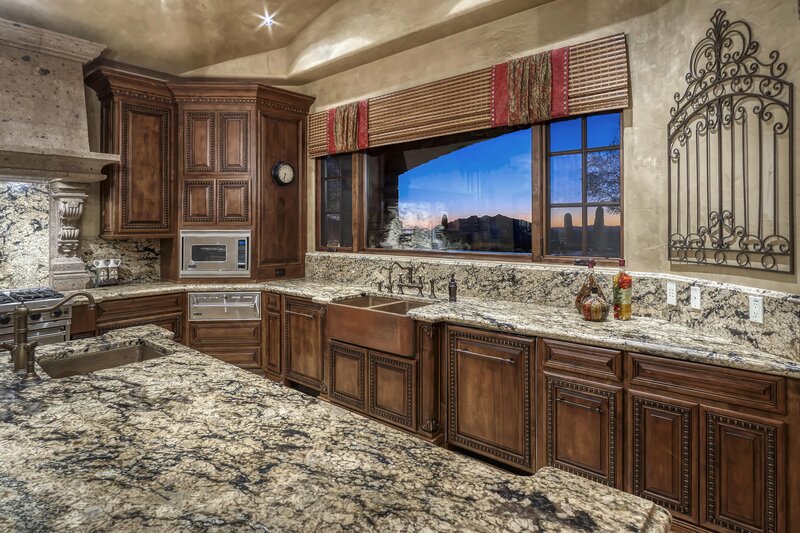 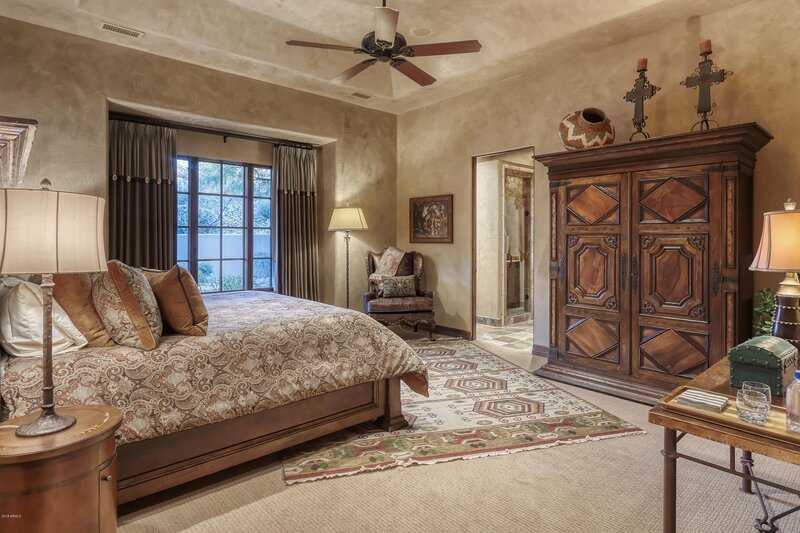 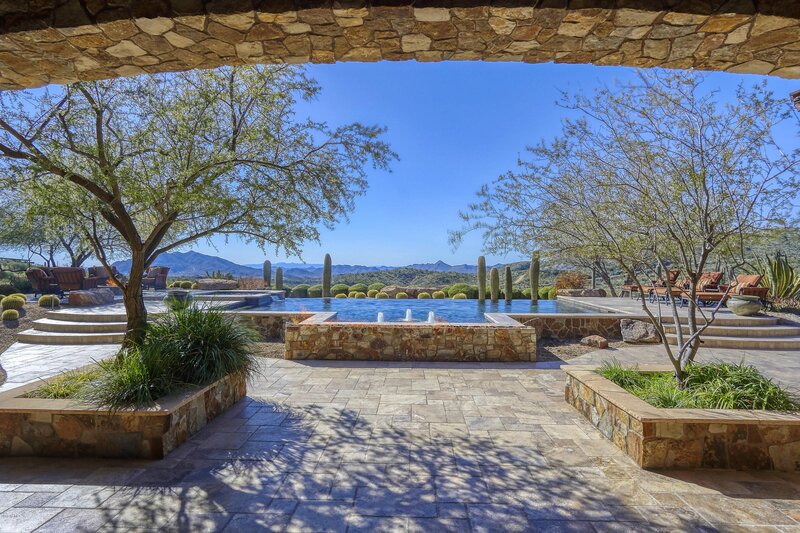 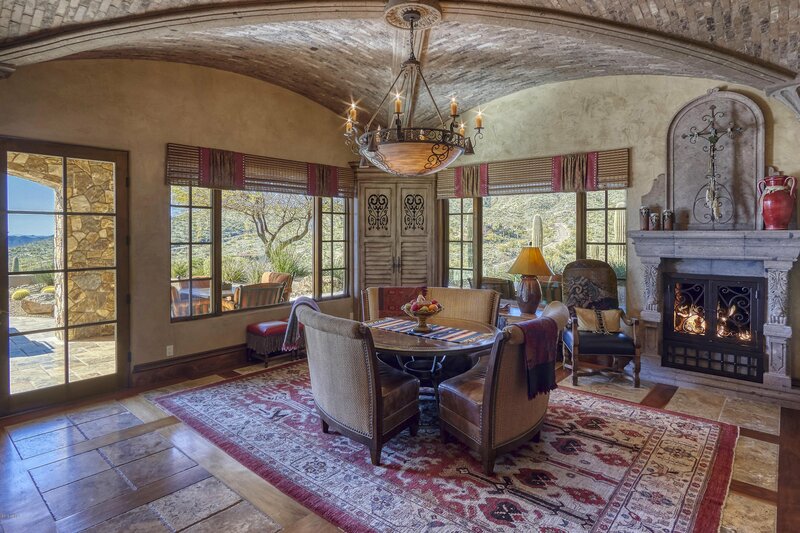 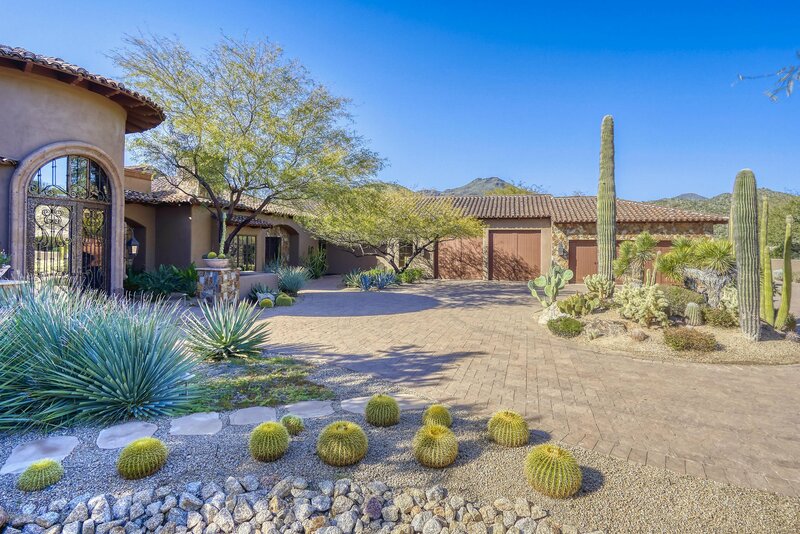 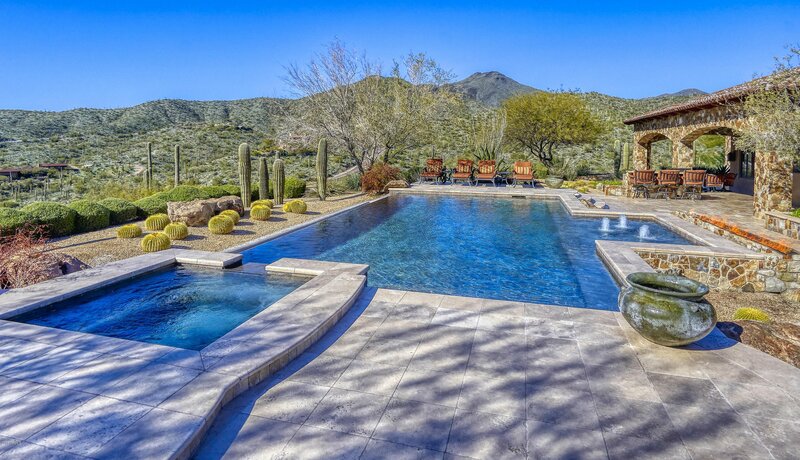 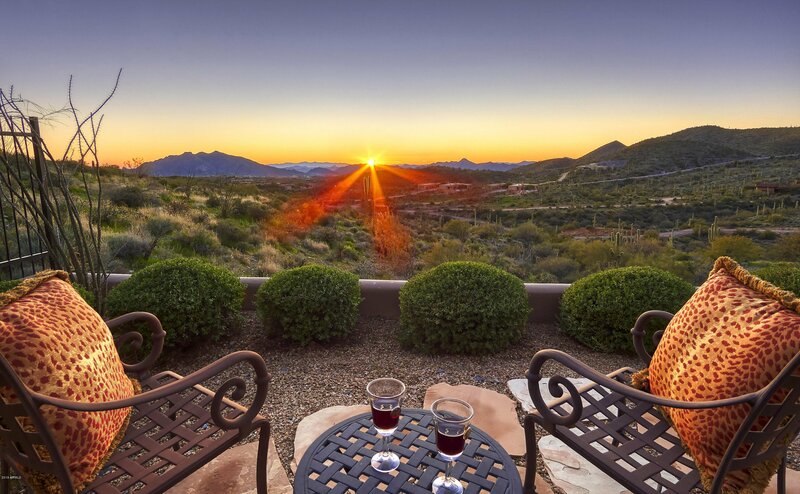 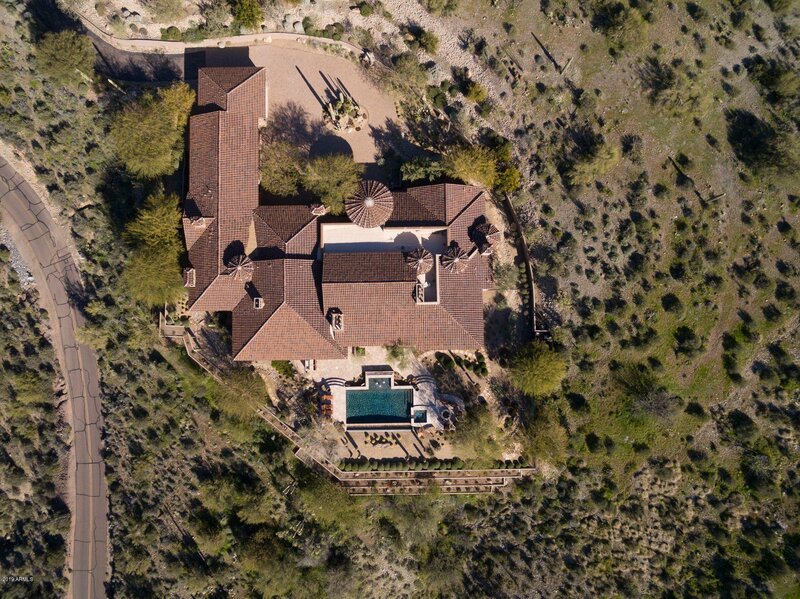 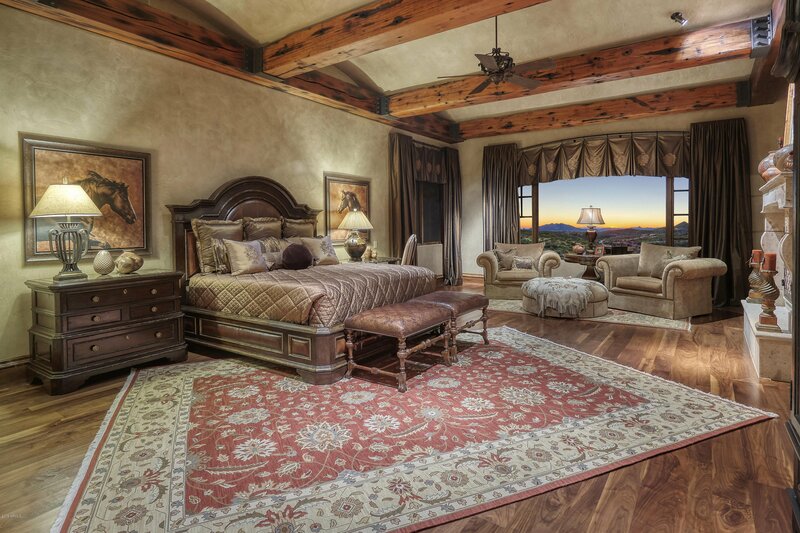 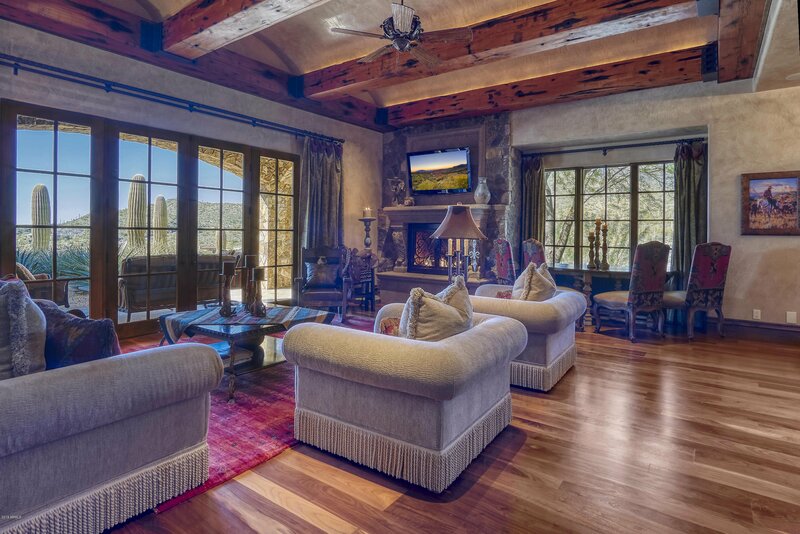 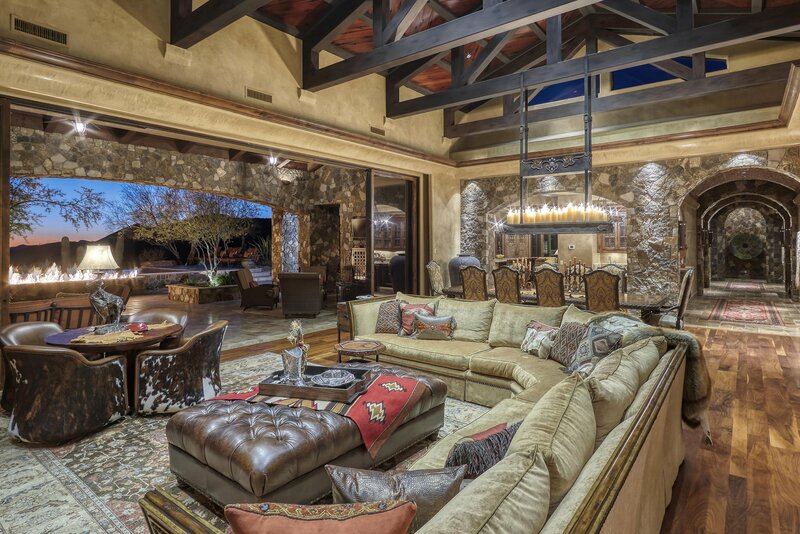 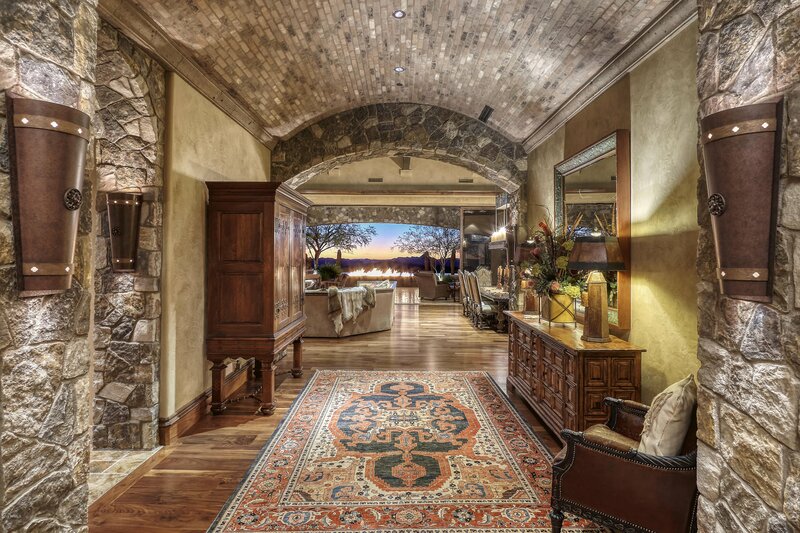 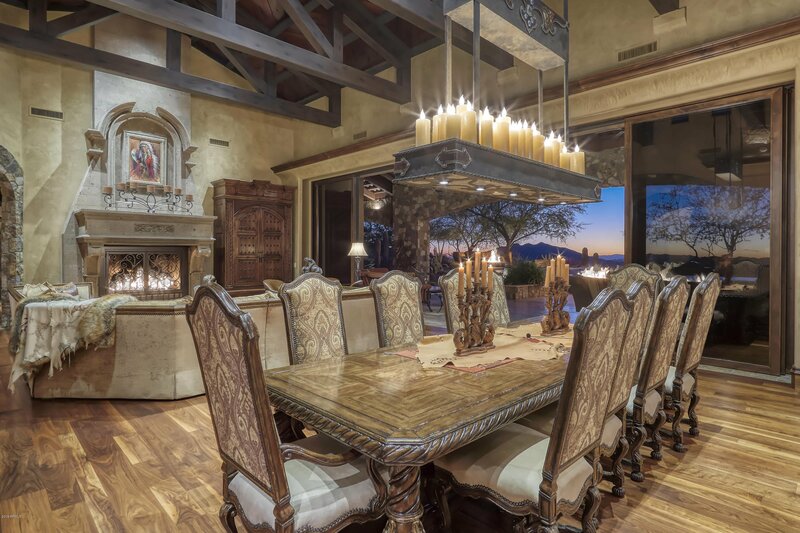 Views from every window in this secluded Southwestern Old World estate on 12 acres w/ breathtaking panoramic views of Sonoran Desert & mountains. 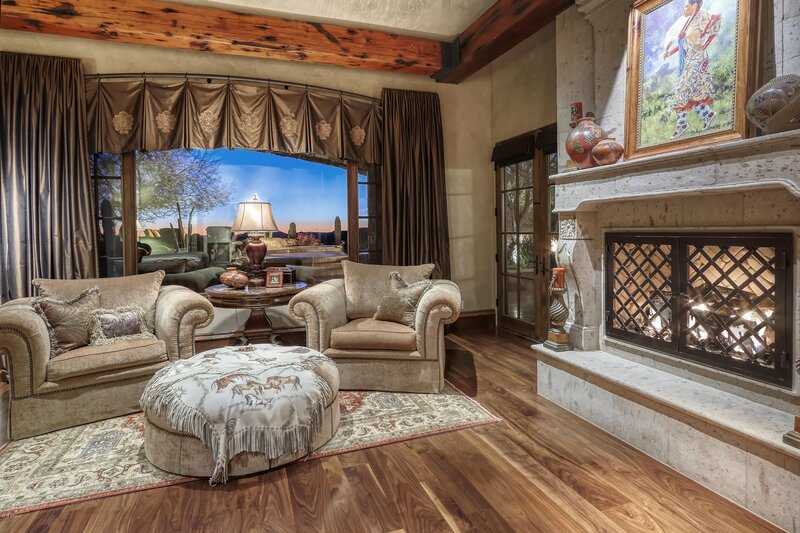 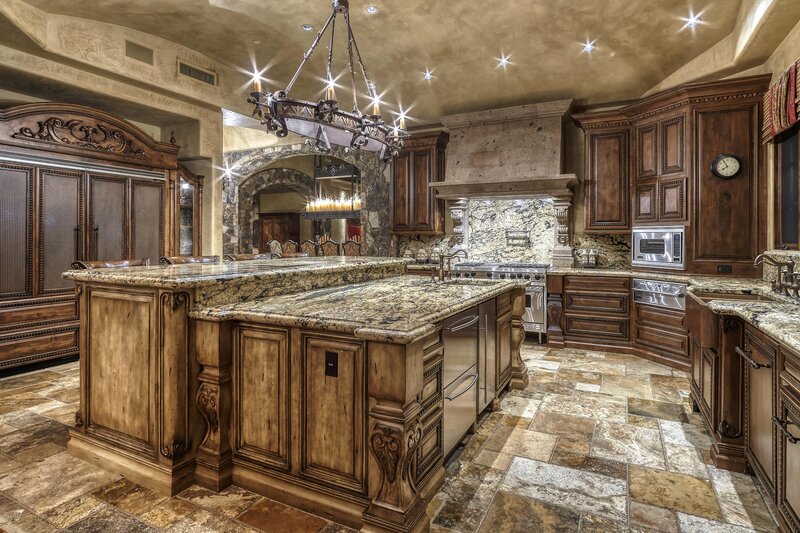 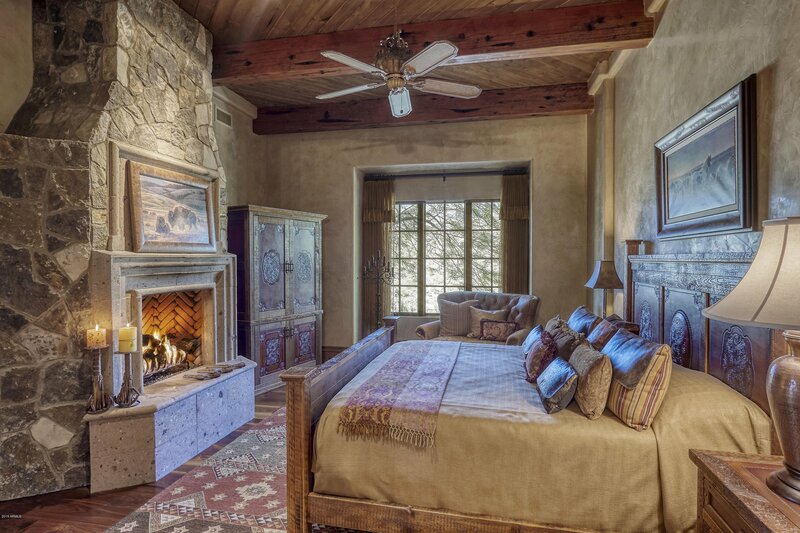 Great room floor plan has dramatic stone fireplace & automatic doors opening to outdoor living spaces. 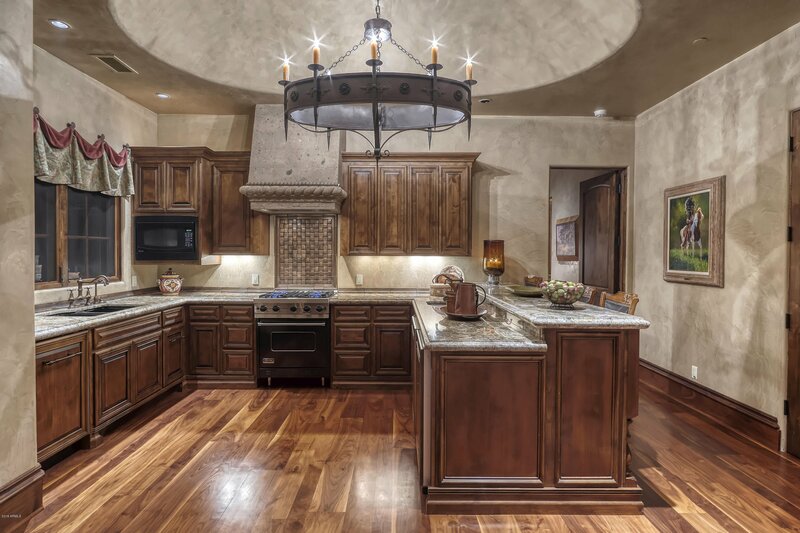 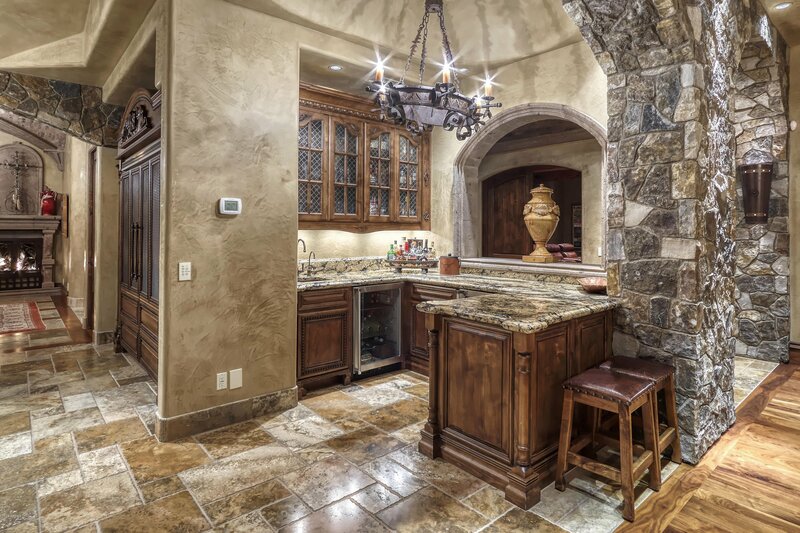 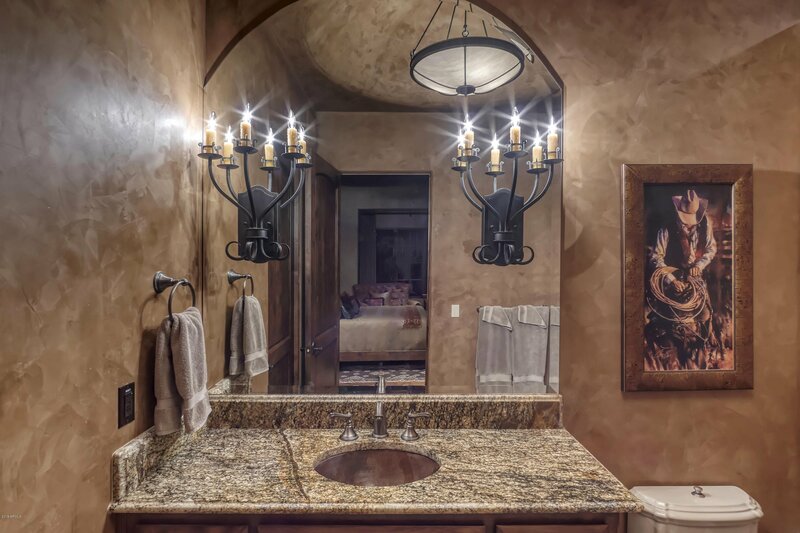 Finest finishes & amenities incl wood & stone floors, wood beamed ceilings, stone walls & ceilings, custom cabinetry & lighting, wine cellar & much more. 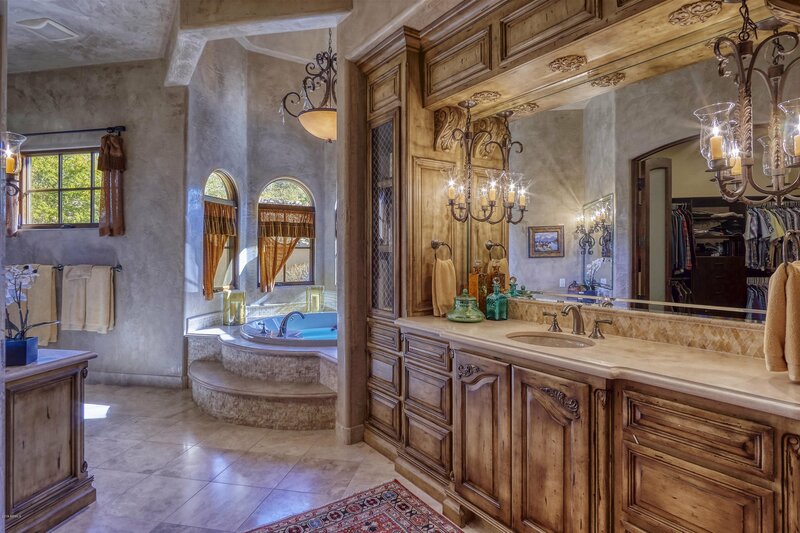 5 bedroom en suite, incl. 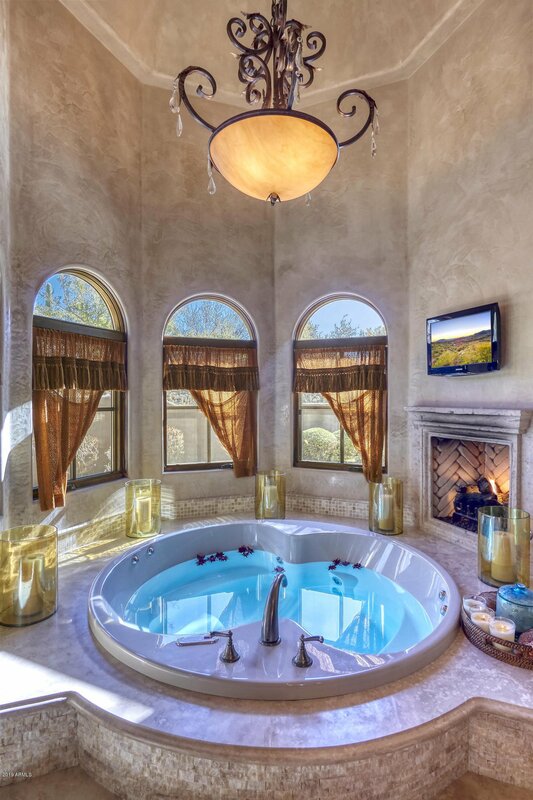 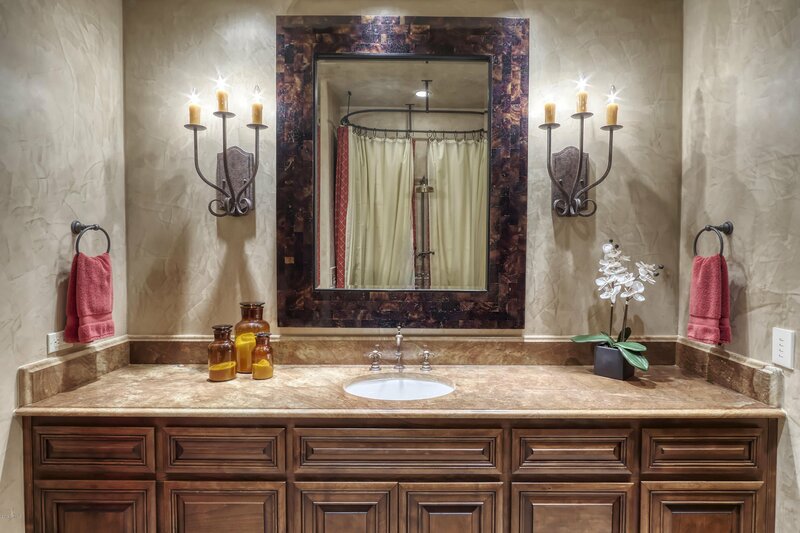 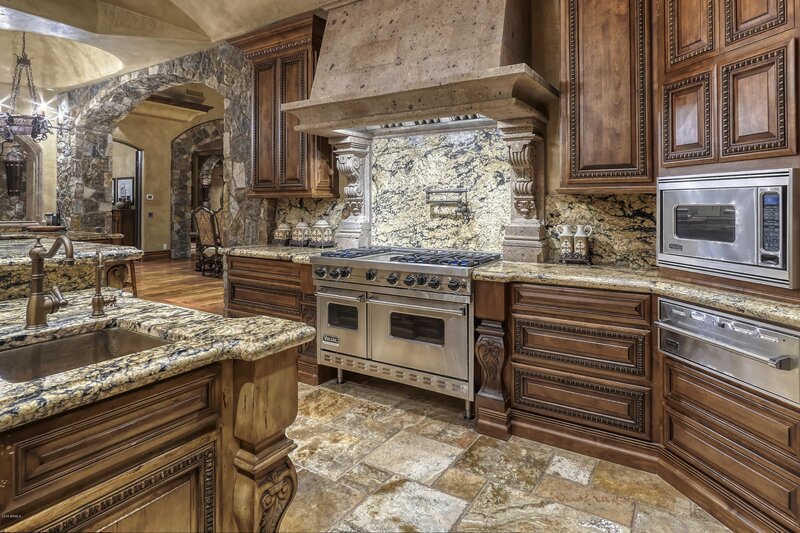 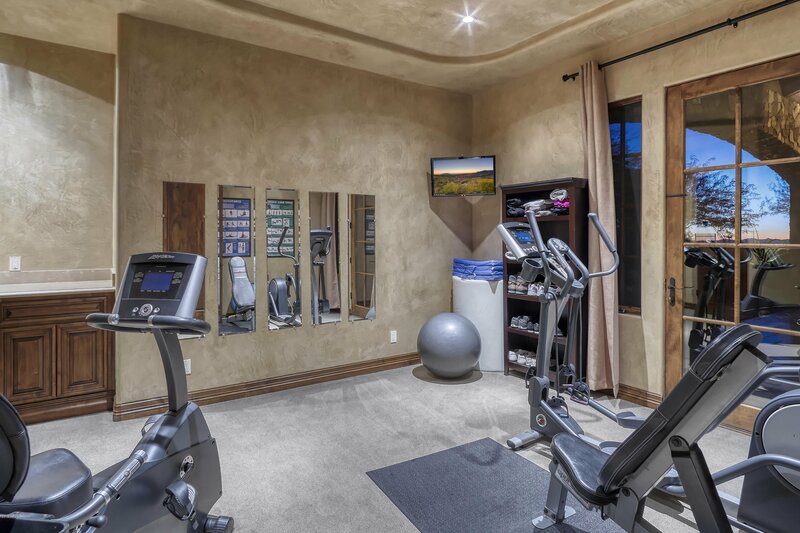 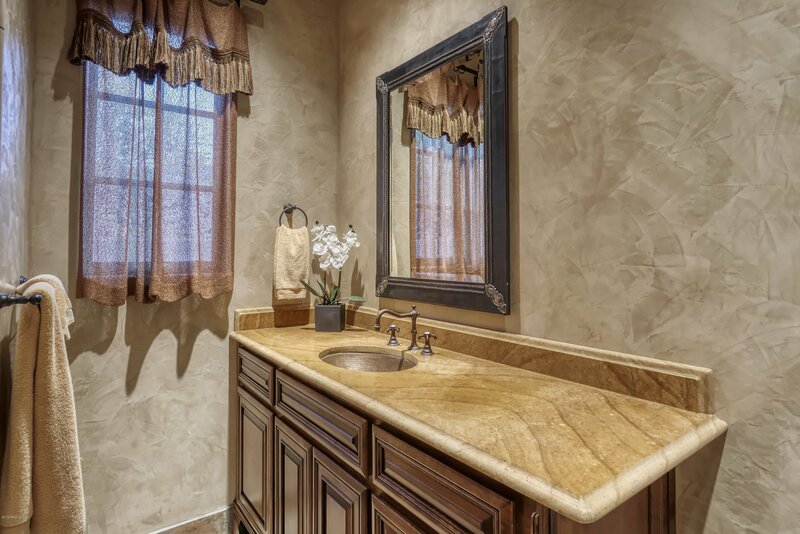 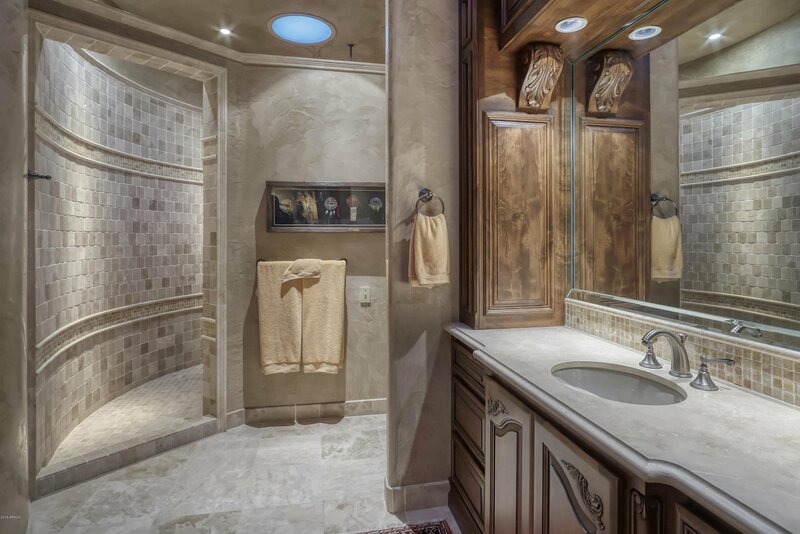 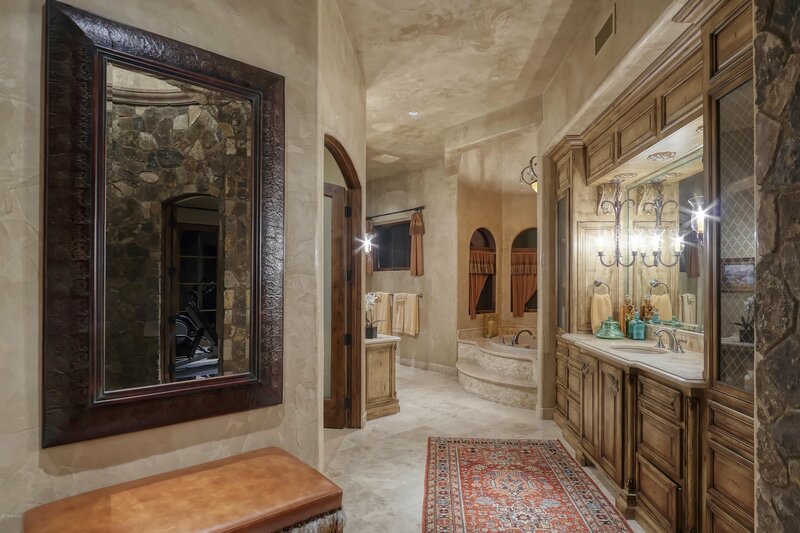 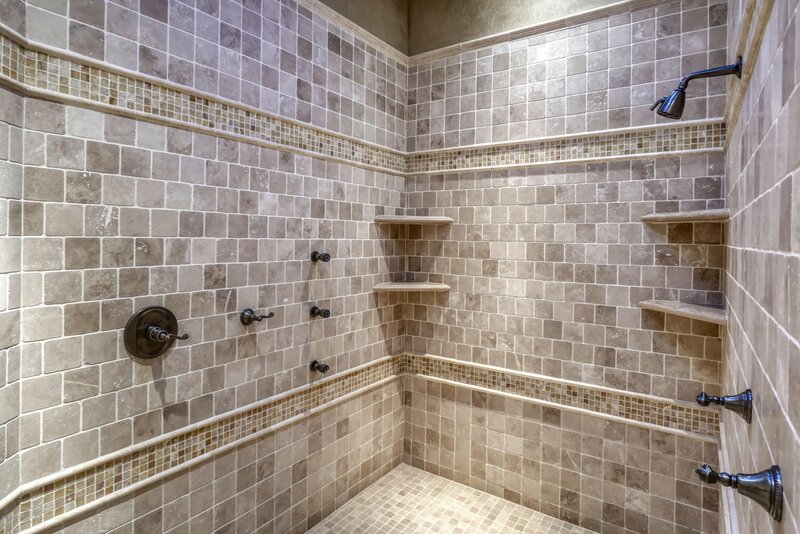 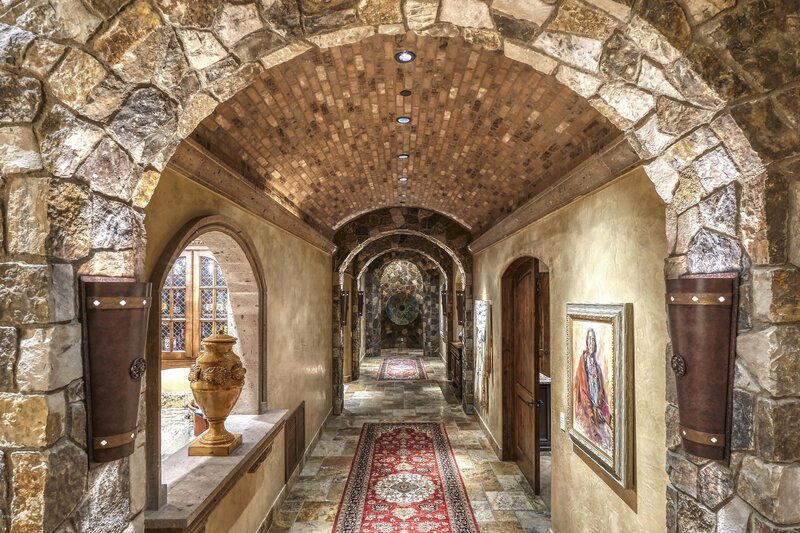 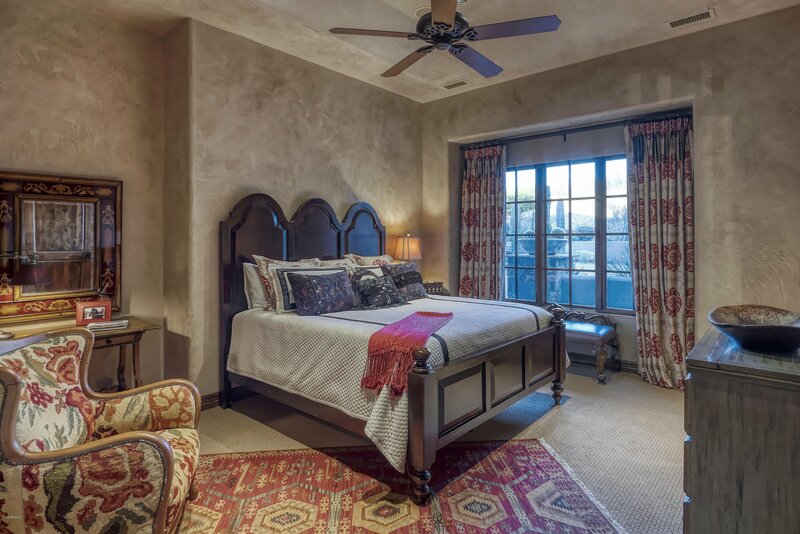 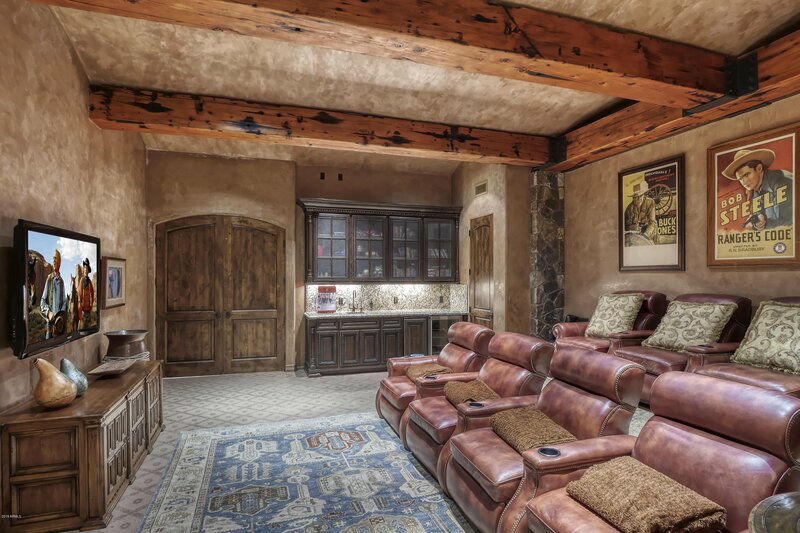 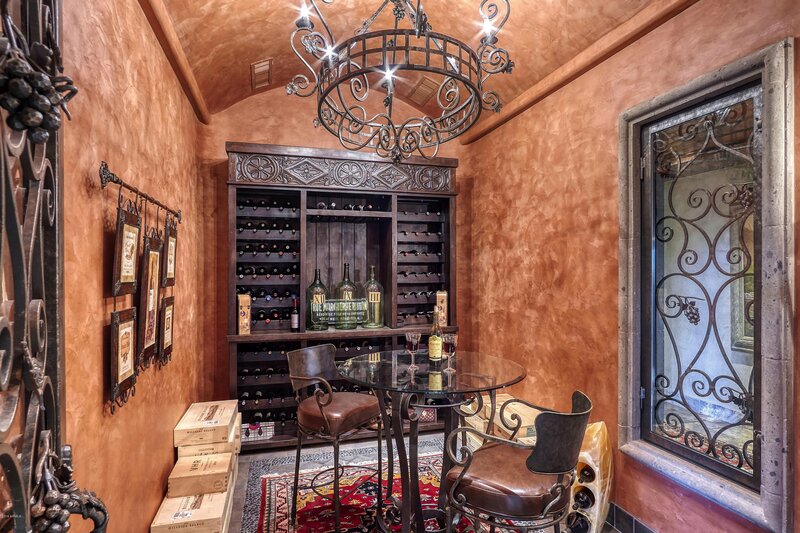 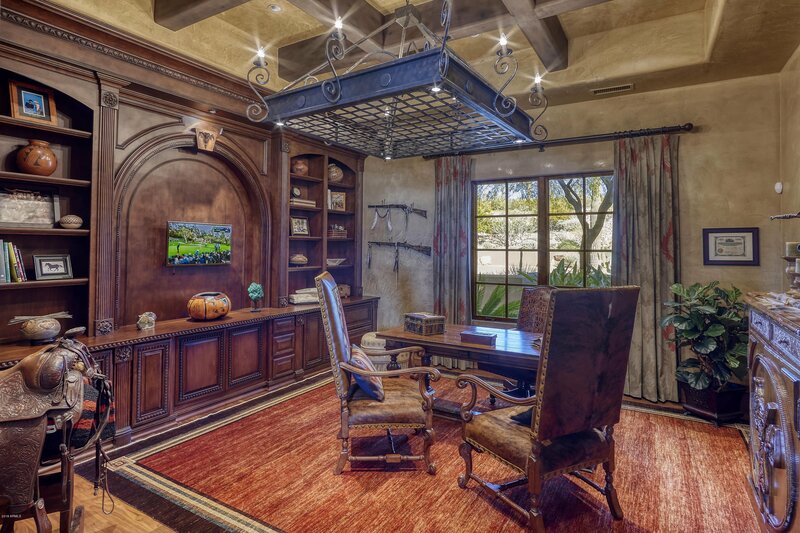 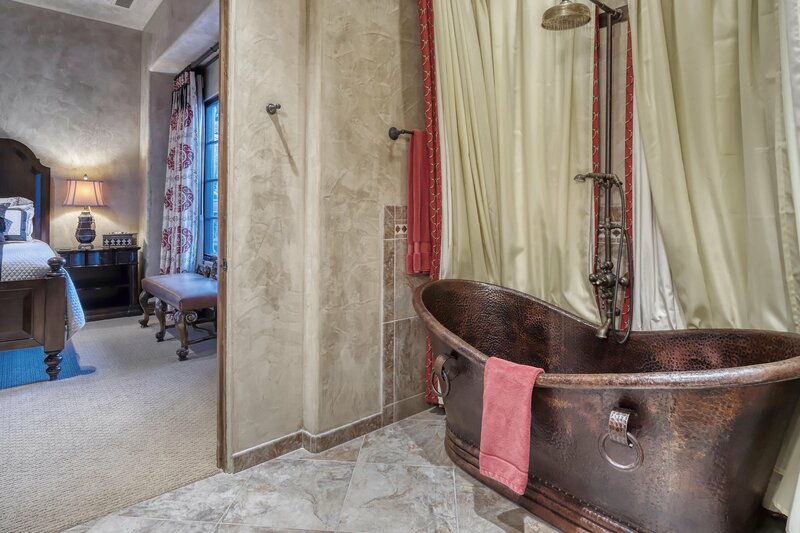 guest quarters w/ family room, kitchen, laundry closet & 2 fireplaces; 6 full baths, 2 powder rooms, library/den, media room w/ wet bar, master suite w Cantera stone fireplace, workout room, laundry room, his & her baths w/ sep. showers, water closets & vanities. 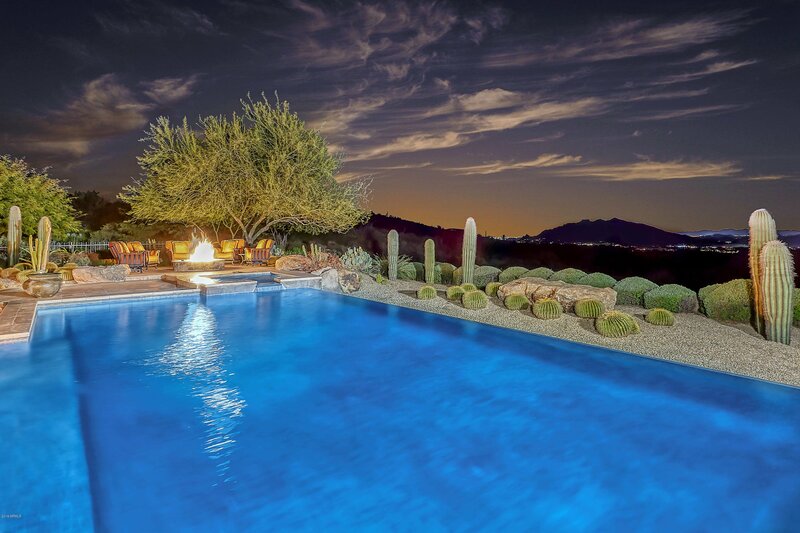 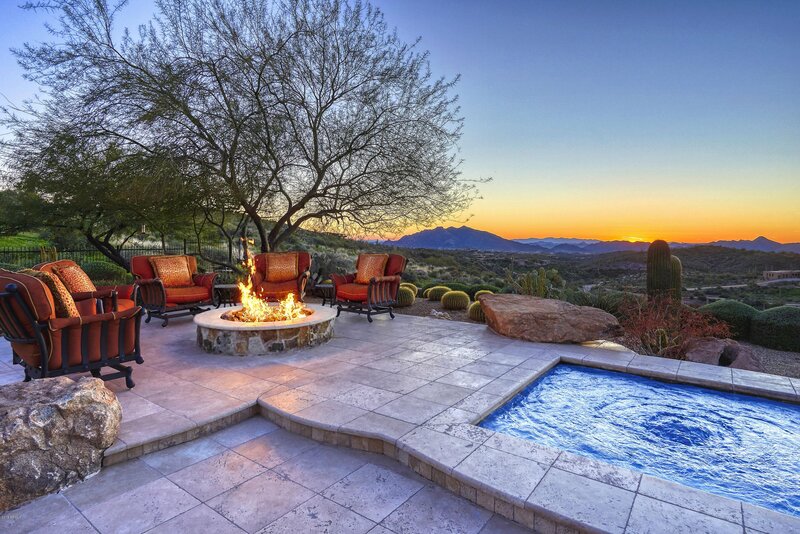 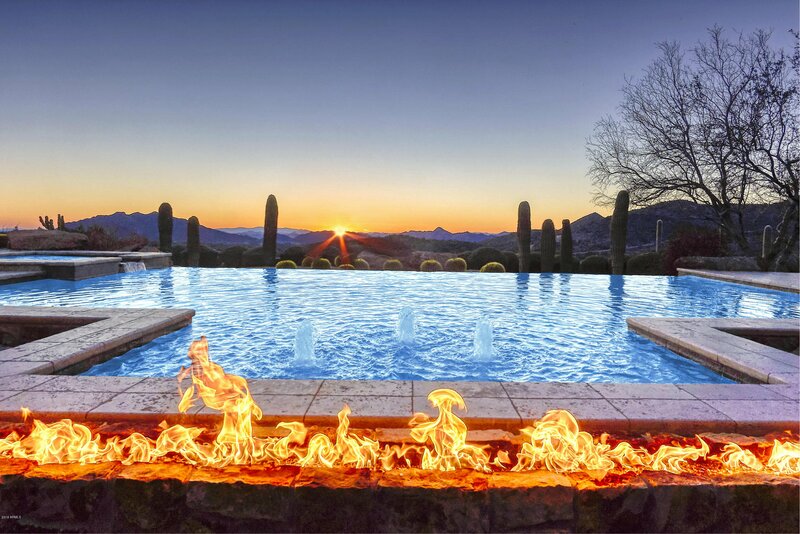 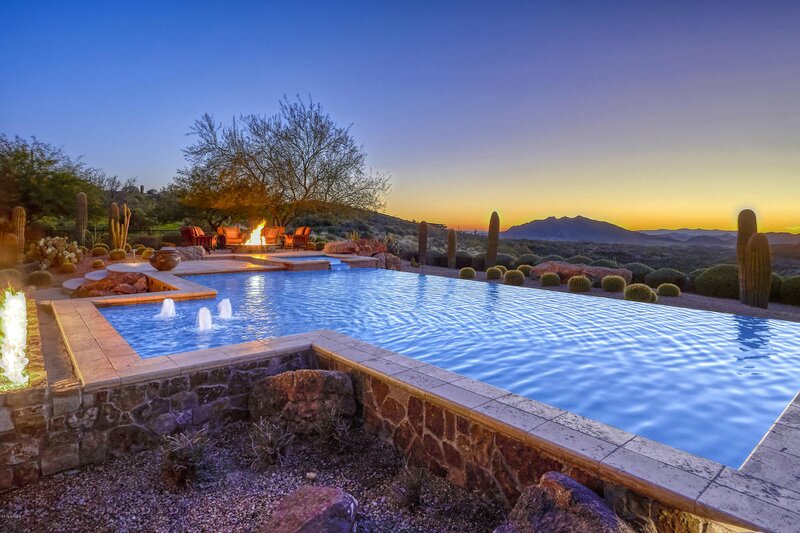 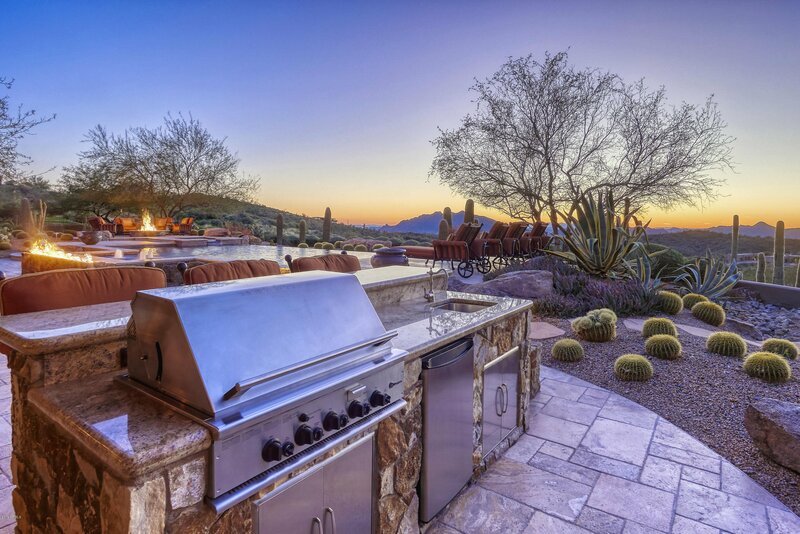 Backyard retreat w/ negative edge pool, spa, fire pit, BBQ, fireplace & multiple patios w forever views.